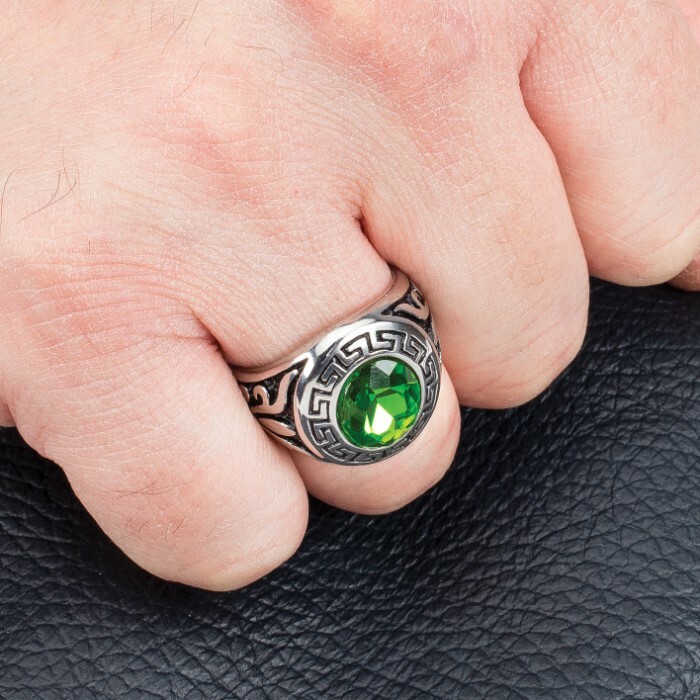 Men’s Greek Key Design And Simulated Green Diamond Ring - Stainless Steel Construction, Intricate Detail, Everyday Wear | BUDK.com - Knives & Swords At The Lowest Prices! 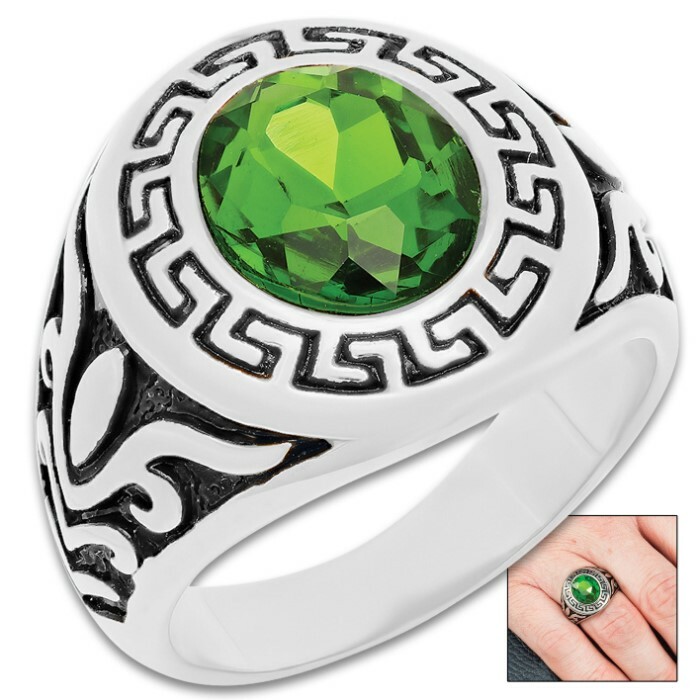 Beautifully cast and extraordinarily detailed, this eye-catching ring features a green-colored centerpiece and exquisite Greek Key design to set it off. The delicate texture, brilliant contrast and painstaking attention to detail is remarkable, with even the tiniest embellishments clearly visible. 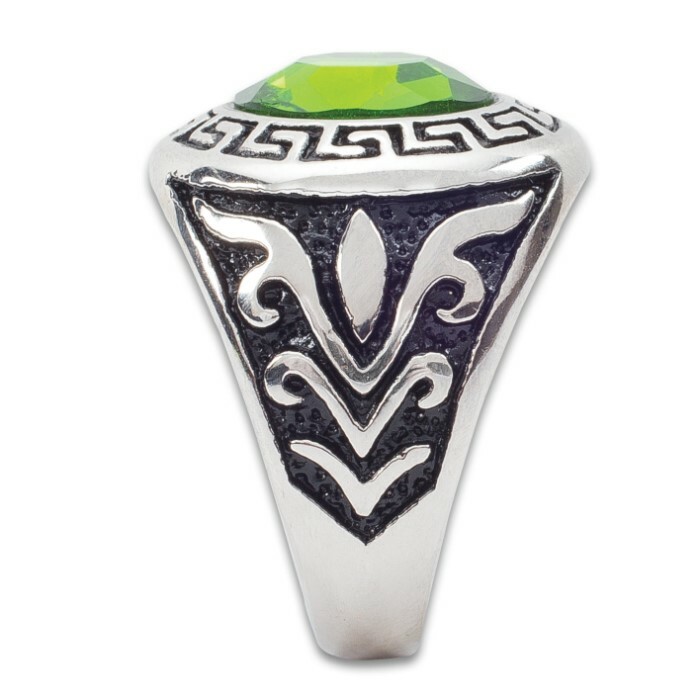 Furthermore, the high quality stainless steel boasts a sheen, corrosion resistance and durability that simply can’t be matched by more traditional - not to mention expensive - ring materials. Precious metals like silver and gold tarnish and fade, and even advanced modern ceramics are prone to chipping. 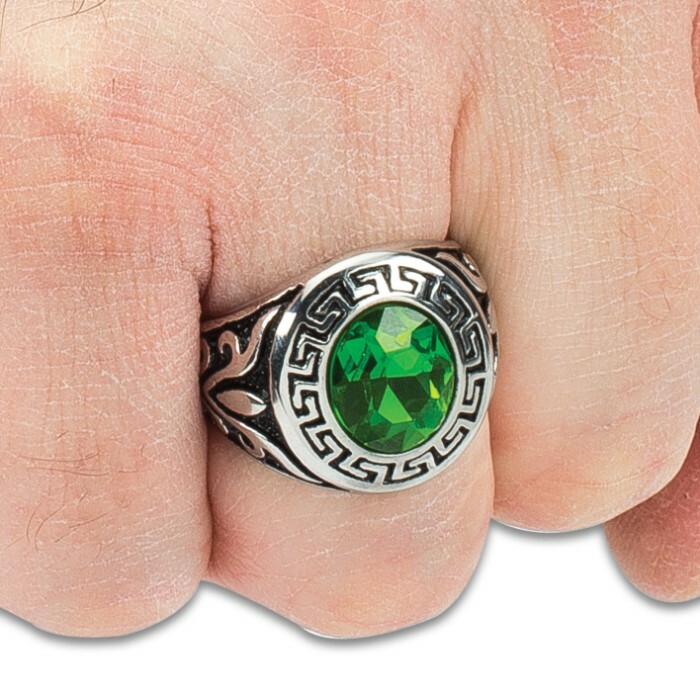 This fine ring, however, is truly forged for a lifetime of vigorous wear, so you needn’t fear damage while tackling yard work, engine repair or other hands-on tasks. Looks great on anyone, enhancing any outfit or personal style. 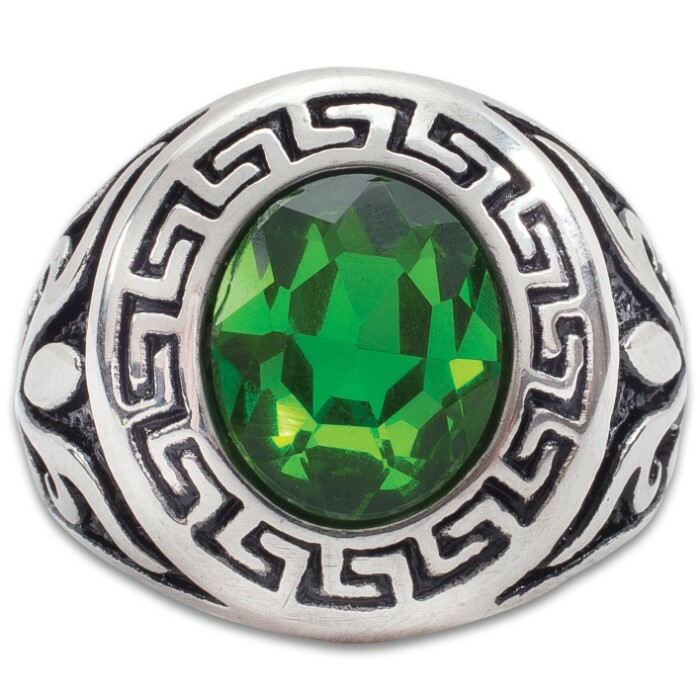 It’s a superb choice - for a ride on a motorcycle, a night on the town or simply as an everyday fashion accessory. Also makes a fantastic, memorable gift, and, available in sizes 9-12, we’ve got the right fit for any man!